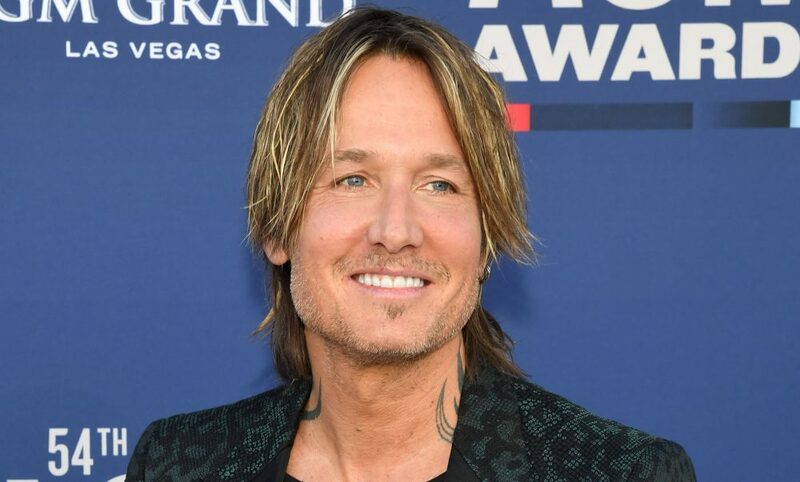 With the big NCAA hoops tourney in progress and baseball season about to kick off (to intentionally mix a metaphor,) we’re about to enter a heavy sports-watching season. And what’s better to accompany a game on the big screen and a pitcher of beer than a plate of spicy chicken wings? That’s a rhetorical question, by the way, since the correct answer is “nothing, nothing is better.” Nashville is blessed with some fantastic wing shops, and we’re not talking about those national chains like Buffalo Wild Wings or, heaven forbid, those add-on abominations that you can order along with a Domino’s pizza. 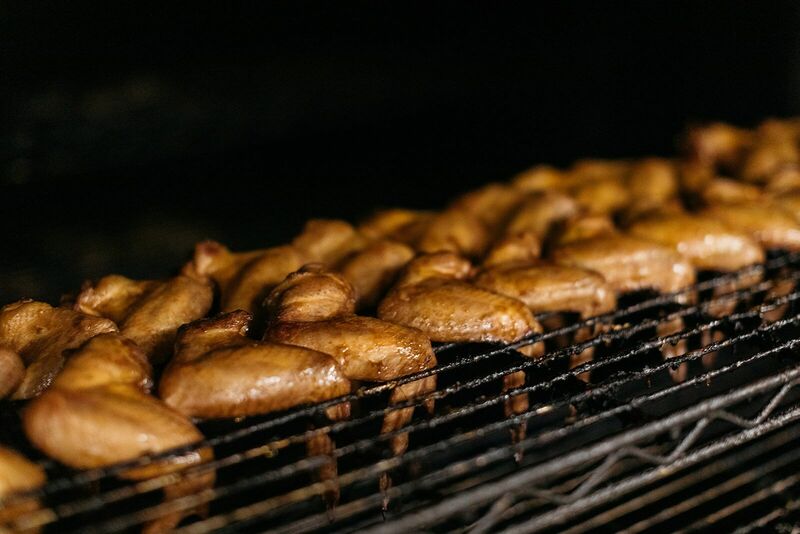 Instead, check out this octet of locally-owned restaurants that smoke, fry and broil some of the finest fowl in town. Wings at Smokin’ Thighs. Photo courtesy of Yelp. Wait a minute. I thought we were talking about wings, not thighs? Well, this hidden gem on Wedgewood near the Fairgrounds specializes in both types of dark meat, and they do it without the benefit of a fryer. Instead, they slow smoke their chicken over applewood before serving it up with your choice of sauce, seasoning or rub. As a bonus, Smokin’ Thighs also offers one of the widest offering of moonshines in town, if you’re into that sort of thing. OK, now you’re probably really getting confused if the second spot we recommend for chicken wings has the word “porker” in their name, but trust us. 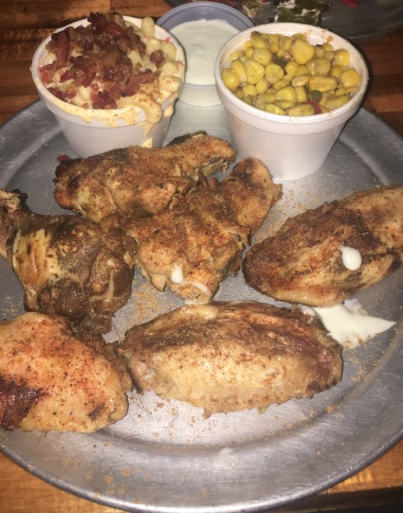 Peg Leg Porker is a tremendous place for pulled pork or Memphis-style dry rub ribs, but don’t miss out on their fabulous wings. First of all, they don’t just serve you the drumette or the flat (that’s the two-bone piece without its own handle in case you’re not versed in your chicken anatomy.) Instead, they serve huge, meaty whole wings that pass through the restaurant’s smoker before a quick fry to render them perfectly crispy. You can get them with PLP’s signature dry rub, BBQ, hot or extra hot. Try them all! This “upscale dive bar” in The Nations doesn’t offer a huge menu in the way of food options, but what they do offer is unilaterally excellent, particularly their flavorful wings. Topped with their tangy and creamy secret “Centennial Sauce,” these wings live somewhere between Buffalo and BBQ. And that’s a great place to hang out, especially with a beer and a plate of these crispy and tender beauties. 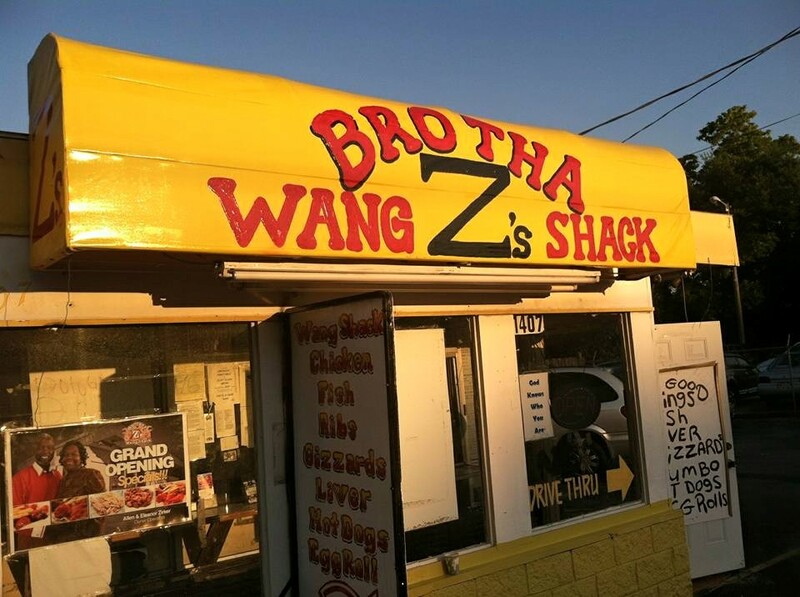 You have to love any place that calls itself a “Wang Shack,” and Brother Z’s is worthy of your adoration. 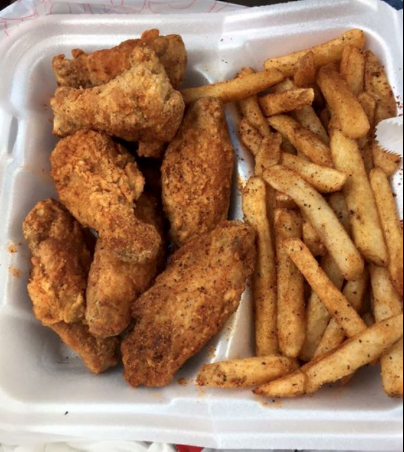 While you’ll probably have to figure in the cost of driving or riding all the way north of downtown into the cost of your meal, the wings in this shack are still a bargain. Plus you definitely won’t find gizzards of most places closer to the urban core, and they are also an exotic treat if you’re feeling adventurous. They offer a remarkable array of different flavors and preparations, but pros suggest you at least try the lemon pepper version. Mojo Grill is a little offshoot of the popular Broadway Brewhouse, originally a side venture from the first location in Midtown. 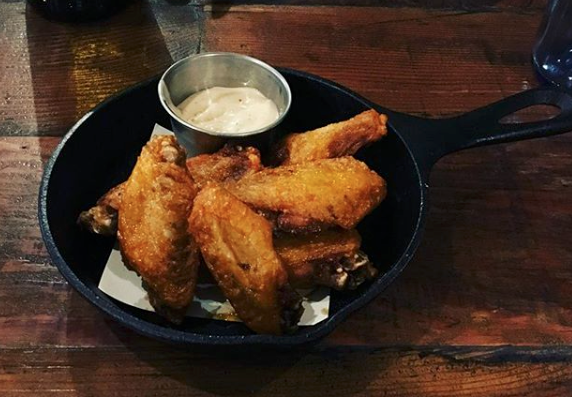 You can order the Mojo wings at any of Broadway Brewhouse’s five locations around town, and in fact their “mojo” flavor is probably the most remarkable of the four flavors they offer. 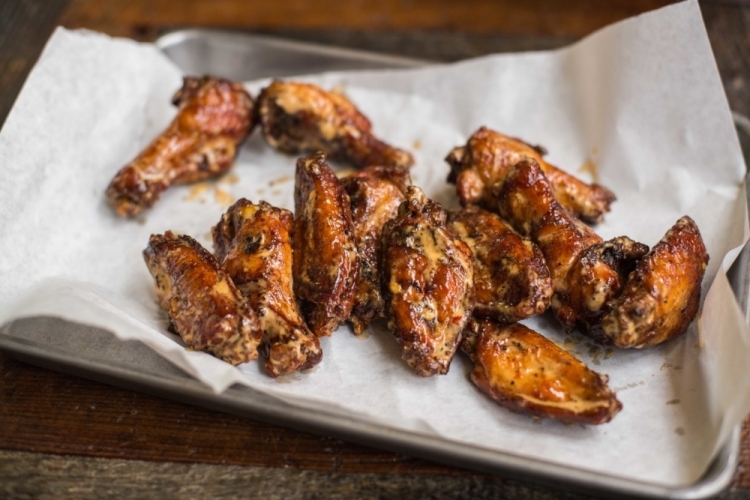 Sticky sweet but also featuring a sting of habanero heat, these wings a good kind of mess. Get extra napkins and a boozy Bushwacker frozen drink to cool the burn. If you prefer a tamer experience, the Panama glaze of jalapeño and molasses are also fantastic. 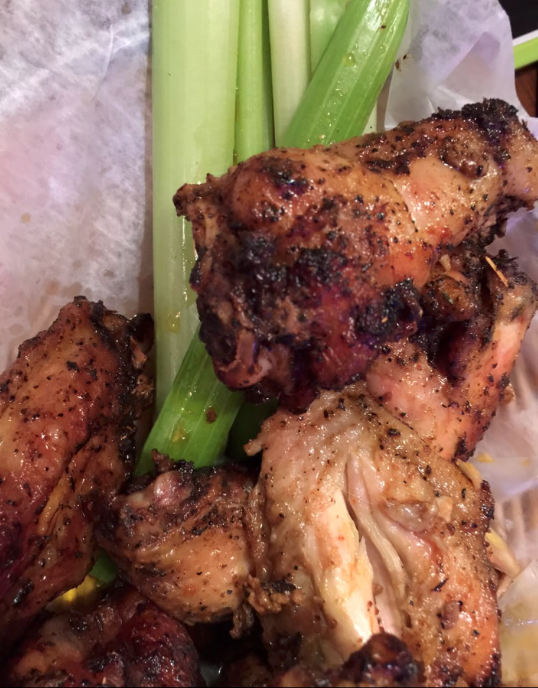 Knockout Wings are another neighborhood fave in the college area around TSU and Fisk. Sold in mass quantities for less than a buck a wing, KO is a preferred spot for a late-night wing fix since they’re open until 2:00 on weekends. Their sweet “Rope-a-Dope Honey Biscuits” are the perfect counterpoint to the spice of the wings, and may actually be the most addictive item on the menu. Even though this chain of barbecue restaurants continues to grow, Martin’s is still a local treasure, and owner/pitmaster Pat Martin is laser-focused on consistent quality at all of his locations. With a long menu of smoked and fried treats, it would be easy to overlook the wings, but that would be a mistake. Martin’s isn’t afraid to put plenty of smoke to their wings before frying them crispy, and that’s the best reason to eschew traditional wet BBQ of Buffalo sauces when you order them. Instead, get them with the restaurant’s signature dry rub and a side of their creamy and tangy Alabama White BBQ sauce. You won’t be disappointed! This SoBro restaurant is a little more upscale than the other spots on this list, but that doesn’t mean that it’s not casual. In fact, the vibe at The Farm House is decidedly laid back; it’s just that their menu features elevated versions of soulful Southern classics made using local and seasonal ingredients. You can certainly build a meal of inventive, beautifully-plated composed dishes, but the kitchen is just as happy to send you out an order of their smoked and fried wings with their own house white sauce as you sit at the bar enjoying some happy hour beers before a hockey game at the nearby Bridgestone Arena. In fact, the chef is a huge Preds fan, so he might even come out of the kitchen to wish you and his team good luck.